What can you call that except a Happy-Face Donkey! My face is grinning too. I wish I could be there. I want to be them. 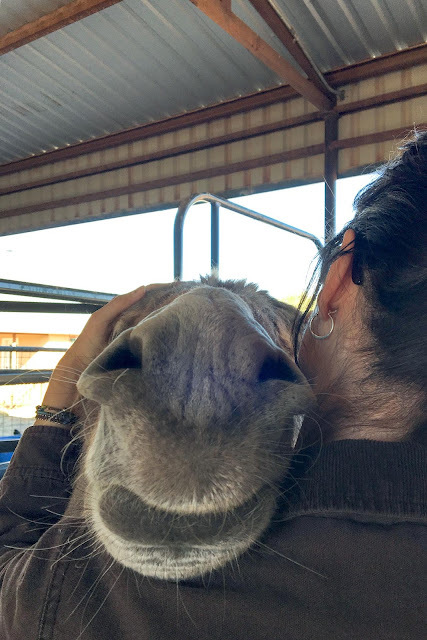 I want a donkey hug. Now. Nothing but LOVE at the 7MSN this weekend. George is one sweet snuggle bug. Hello Danni! There can't be too many hugs at the 7msn right now. So nice to see you. Ha! Looks like Paul has a donkey head! Love it! Friends (both two and four legged) are special. Best place for happy hour. 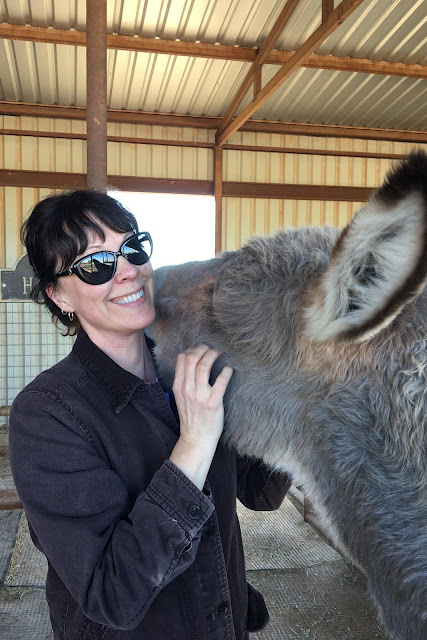 There is NOTHING on the planet better than an equine nose, especially if it's on your shoulder! 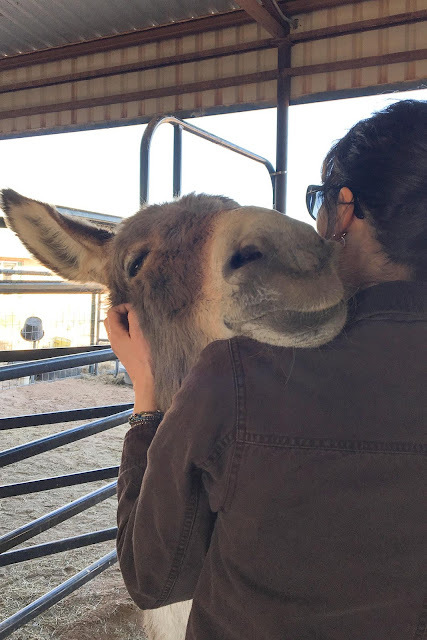 Donkey hugs and friendly faces all around! That last one looks like the donkey version of William Wegman photographs! Aww, I never experienced a donkey hug, but now I feel like I have! 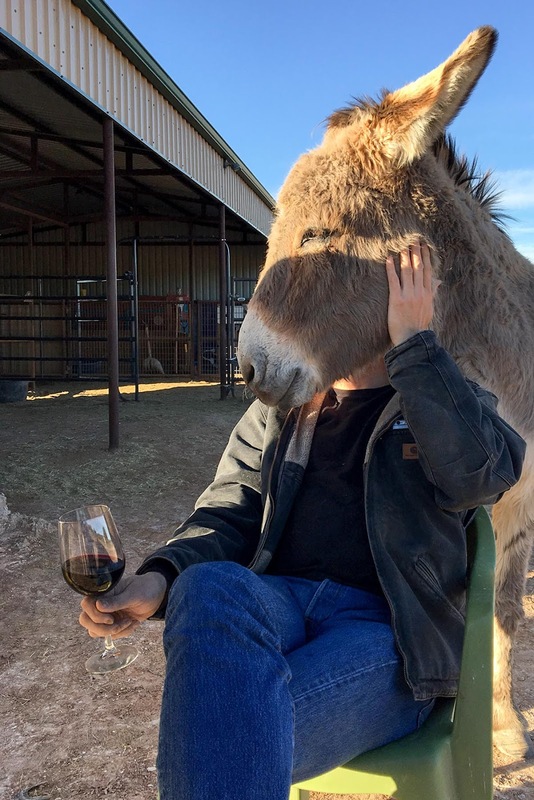 The donkey head pic is great, especially with the glass of wine! hee hee!